The Bas Bleu editorial staff took an afternoon recently to watch Laura, which none of us had ever seen. I was the only one who had read the book, and I was interested to see if a certain big plot twist would be anticipated by my viewing companions. To my delight, my dear colleagues were satisfyingly shocked! I, of course, knew what was coming, but was definitely caught off guard when reading the book, so I’m glad to see the film maintained the suspense. In general, I thought the film was an excellent adaptation of the text. From the first jazzy notes of the haunting title song, the mood of the black-and-white noir film perfectly captures the stylish atmosphere of the classic crime novel. The casting was strong, too, for the most part. Dana Andrews’s gruff, hard-boiled detective perfectly embodied my ideas of what Mark McPherson would look like. Gene Tierney’s strong and classic good looks were a good physical match for the titular character. And what a treat to see Vincent Price’s handsomely conniving Shelby! Clifton Webb’s Waldo Lydecker was much…scrawnier…than the gourmand described in the book, but I thought his performance captured the acerbic wit and comedic snobbery—as well as the thinly veiled desperation—of Waldo’s character beautifully. Plot-wise, the script stayed very true to the book—but one big narrative departure had a major effect, for me. In the novel, the events of the story are told from three different points of view: Waldo’s, Mark’s, and, of course, Laura’s. In the film version, Waldo narrates the story from start to finish. And this leads to what I found to be the biggest flaw of the movie with regard to the book: Laura’s characterization. In Caspary’s novel, a lot of the noir conventions are turned on their head. Laura is a strong, independant woman—a successful career gal responsible for her own happiness and in charge of her romantic life. In the film, she comes across as more vapid and malleable, a paragon of physical beauty whose identity is defined more by whom she is with than anything innate to her own experience, a concept reinforced by the constant looming presence of her portrait. Of course, characters in books are often better-developed than their big-screen counterparts, but the lack of insight into Laura’s identity seems a major deficit of the film. Also, without seeing Laura’s perspective, the movie viewer misses some of the more feminist notions in Caspary’s novel about hurdles and double standards facing women in the workplace and at home, and the particular dangers of being a single woman living alone. 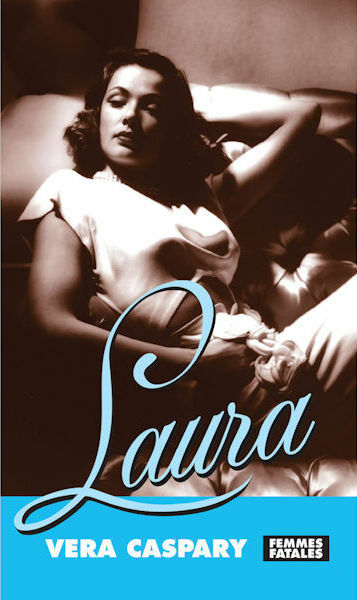 Had I not read the book, I likely would not have been as critical of Laura’s portrayal in the film, which, on its own, is an entertaining, well-acted, stylish cinematic treat. 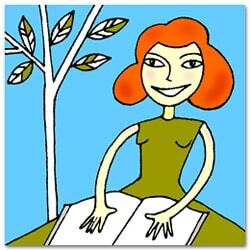 But, as usual, the book was better. To learn more about Vera Caspary and Laura‘s rocky path from page to screen, check out this insightful article from The New Yorker…but only after you’ve read the book and seen the movie. The article is chock-full of spoilers; consider yourselves warned, bluestockings! This entry was tagged Book a Month, film adaptations, mysteries. Bookmark the permalink.